Cover image: Joan Stuart Ross, Hyphens. Encaustic collage on wood, 8″ x 10″ www.joanstuartross.com. Ellen Goldberg‘s first book of poems was Meeting Street. She is also published in Naming: An Anthology of Eight Women, Columbia Sun, Silo, Lyric Garden, Calyx, and Windfall. She is a member of the 29th Street Writers and reads her poetry on the group’s CD, This Is the Welcome. She was awarded a Performing Arts in Public Places grant by Portland’s Metropolitan Arts Commission to perform and teach writing in the schools and community. She has performed in and organized poetry events including The Wayback, an annual celebration of women using the arts to help heal from abuse. She works as a child family therapist at CARES NW, a child abuse assessment center. It was May and I was failing. Still, xenon, neon & argon appealed to me. my thin coat of brains no match for the cold. and might earn the precious credit I needed. 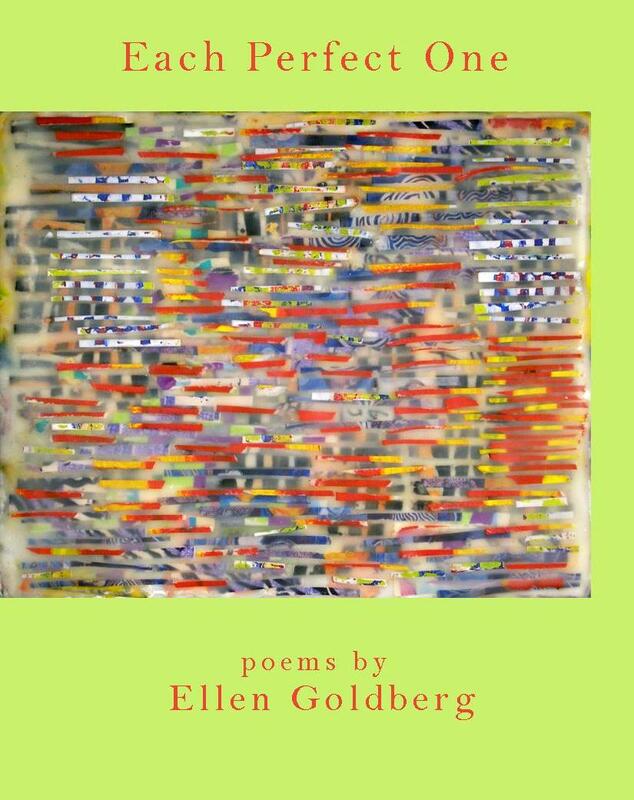 Please click here for more poems and news about Ellen Goldberg. Please click here to purchase Ellen’s chapbook.